I remember shortly after the 90's ended being totally disgusted by southwest decor. I couldn't understand why pastels and tribal prints were ever popular. Here I am, 16 years later totally crushing on a few southwest looks. 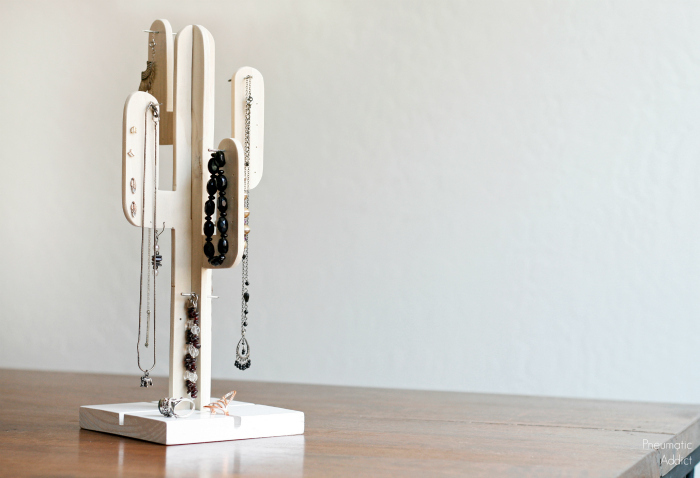 As a tribute to my Sonoran desert home, I came up with a fun little cactus jewelry stand to keep on my dresser. If you've read my 3D Plywood Trees tutorial, you're in luck! 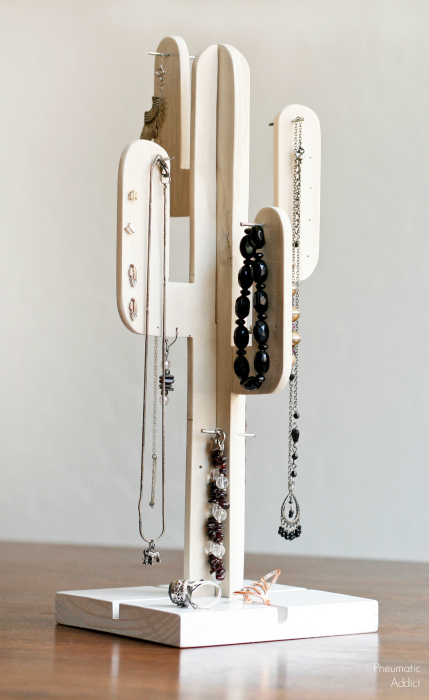 This little jewelry holder is built the exact same way. 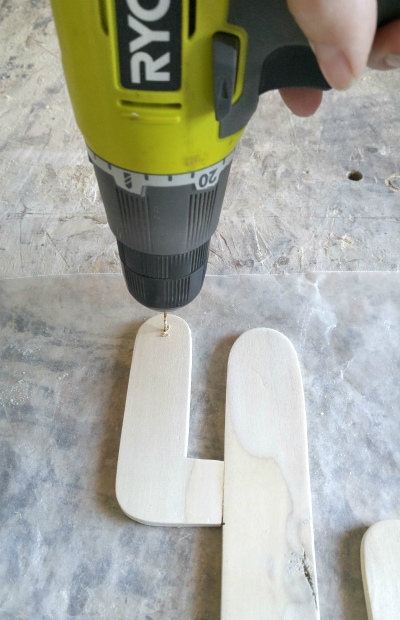 Its a great gift idea and can be made with a few simple tools. 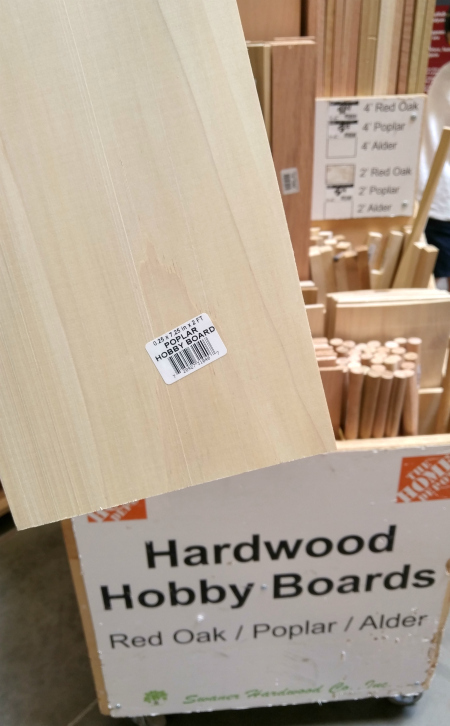 I used a 7-1/4" x 24" x 1/4" poplar hobby board that I found at Home Depot, but you could use plywood or thin MDF. 1. The first step is to print and cut out your paper template. You can download the one I used here. I printed off three copies at the original size (10" x 10"). I cut out two of the template and left the third for later. 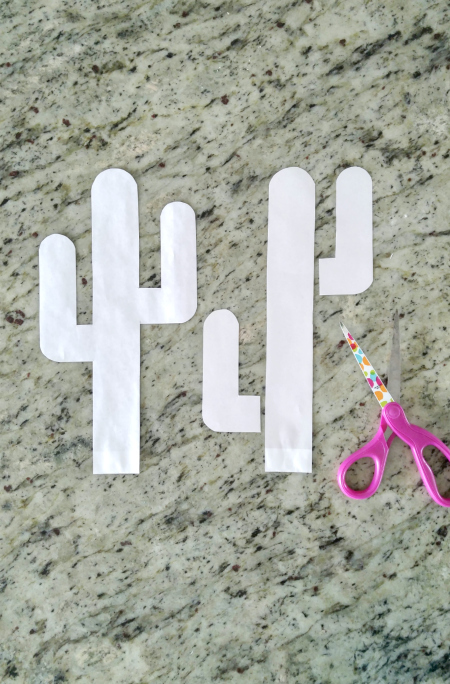 To give the arms of my cactus some variety, I cut the arms off one template and spread them apart and taped them in place. 2. I cut up the third template and used it to extend the the trunk of the first two. I added about 3" in length and taped it in place. 3. 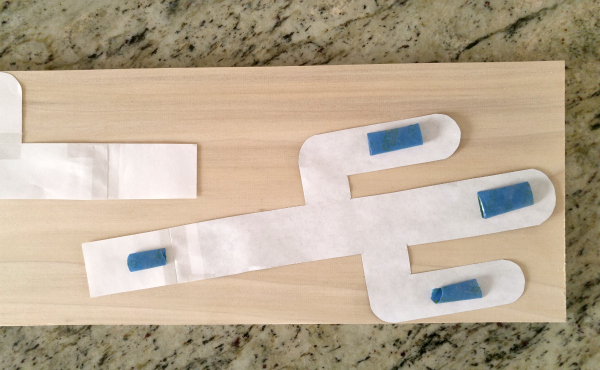 I used a few pieces of folded over masking tape to hold the templates to the board. 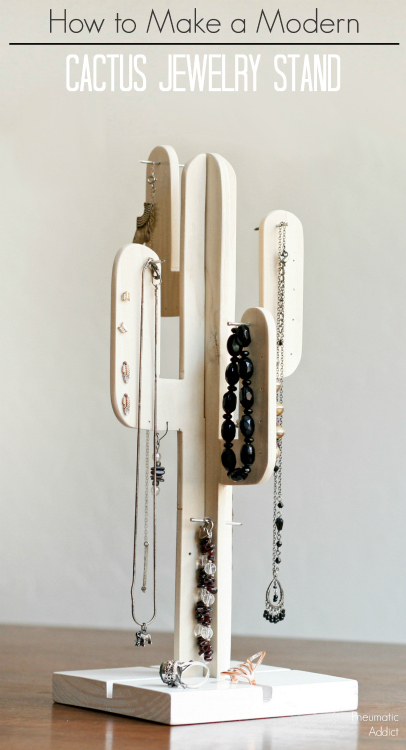 It is a tight fit, but both cacti should fit on one board. 4. At this point I got friendly with my jigsaw. I'll be honest, the jigsaw has never been my favorite tool, but I don't have a scroll saw and a jigsaw with a fine blade worked fine. I set the saw on the slowest speed and worked carefully around the curves, but I did have some casualties. Luckily, broken arms can be glued back in place. 5. Next, I measured exactly 1/2 the length of cactus and drew a 1/4" wide track (on the top end of one and the bottom end of the other). Then, I used a 1/4" drill bit and made a hole at the end of the track. Using the jigsaw again, I cut out the track down the center and squared up the end. 6. At this point I decided where I wanted my spikes and earring holes. I discovered a 1/16" drill bit is the perfect size for my stud type earrings. 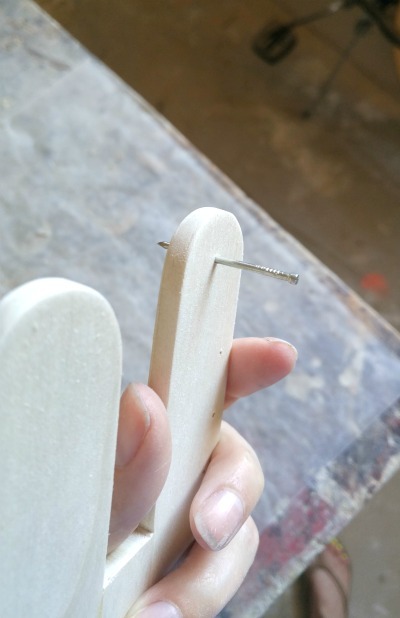 I hammered a few 1-1/4" finish nails through some of the holes, creating "spikes" that I could hang necklaces from. 7. 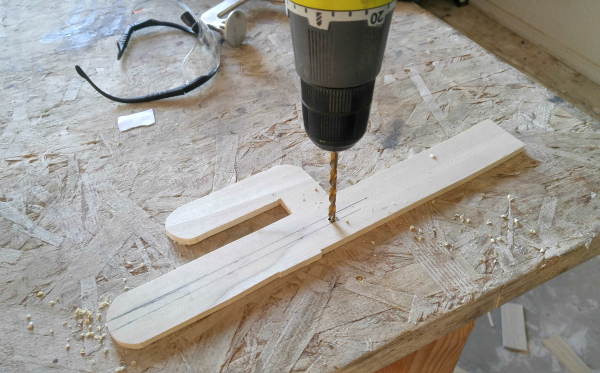 Instead of buying a wood plaque, I used a piece of scrap and made my own. 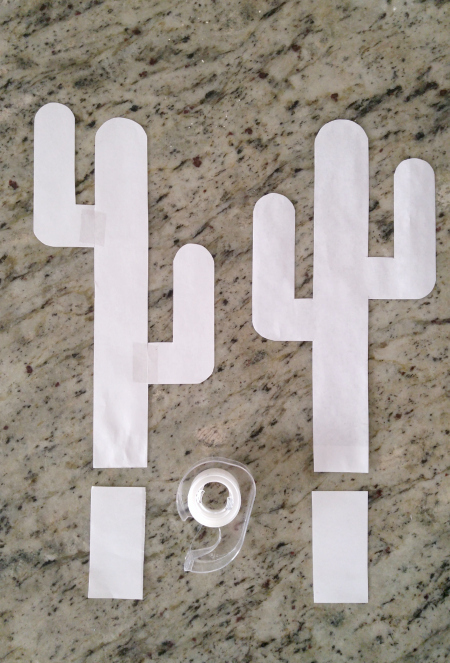 I chose to cut perpendicular grooves on the top face to hold the cactus in place. This is totally optional! 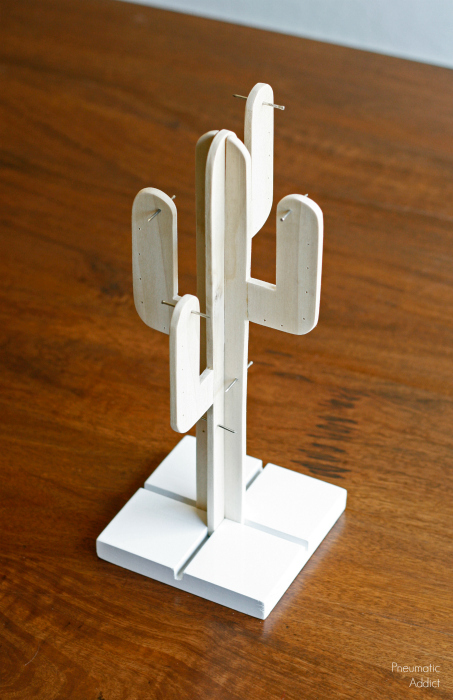 You could simply glue your cactus to the top of your plaque and hold it in place with tape while it dries. 8. The last step was to give the plaque a couple coats of glossy white paint and I was ready to hang some jewelry. I was going to paint the cactus silhouette but like I did with my rice knife block, I fell in love with the poplar grain and decided to leave it natural. 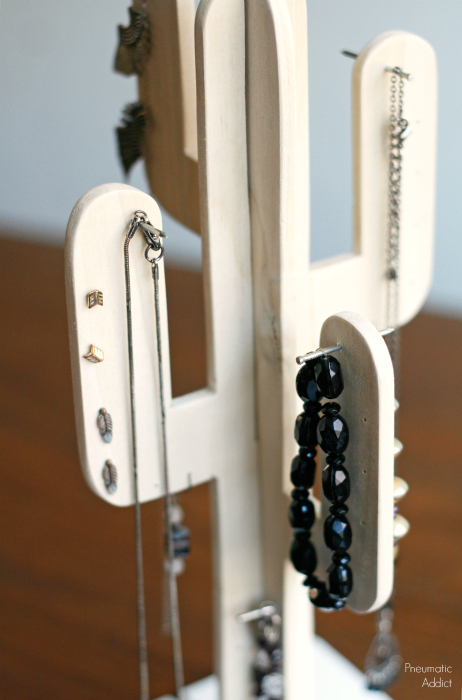 I kinda want to make a second one to hang my keys on. Ready to make your own? Pin the image below to save the idea for later! Oh that cactus is the cutest thing ever! Such a cute project! Can you share how you cut the cross ways grooves in the top of the base? Thanks SO much for sharing this awesome project! Awesome project! Can uyou share how you cut the grooves in the top of the base? Thanks for sharing this very cute idea! Thanks so much Julie! 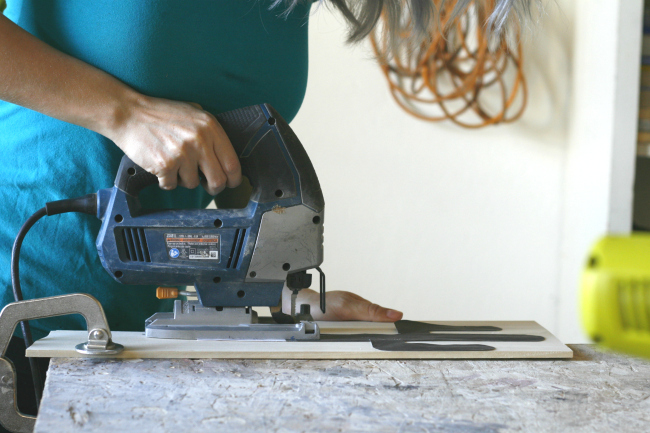 I set the blade on my tablesaw to 3/8" and adjusted the fence so it cut 1/8" inside of half the width. 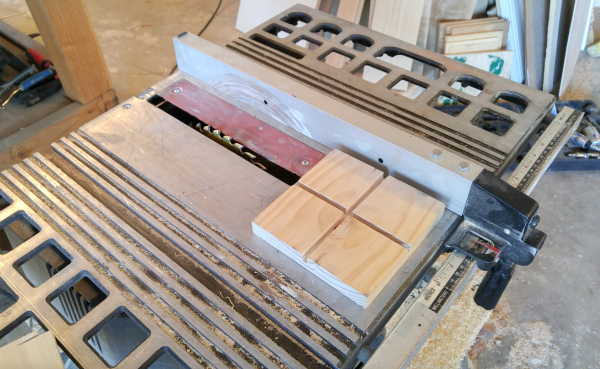 I passed the plaque through the saw, turned it 180 degrees and run it through again. It created a quarter inch groove. Let me know if you have any questions. Très belle idée Elisha, c'est joli, moderne, et pratique !